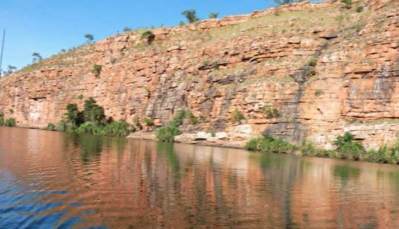 The Kimberleys Western Australia offers some of the most amazing and stunning scenery you'll ever see anywhere in the world. Famous for its rugged, ancient, steep-sided mountain ranges, sandstone and limestone gorges and steep ridges from which most of the soil has weathered away over millions of years. This is very ancient country and contains some of the oldest rock formations and fossils on earth. Many people in Australia travel to the Kimberleys Western Australia each year during the southern winter. The 'grey nomads', retired and generally older Australians, head north in their thousands to escape the cold of the south and the Kimberleys offers the ideal climate where it's warm and mild. Best time to travel is in the 'dry' season, from May to October. There are many things to do in the Kimberleys Western Australia but we've listed what we believe to be the best ten. Mind you, they're in no particular order. Mirima National Park. This area is thought to be about 350 million years old. 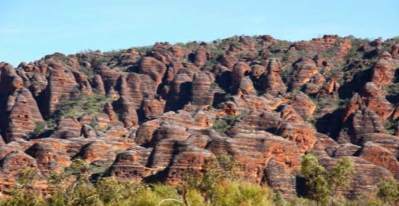 It's just a short stroll or drive out of Kununurra and although just a small National Park it is a stunning area of rugged rock and sandstone formations that look like mini Bungle Bungles. 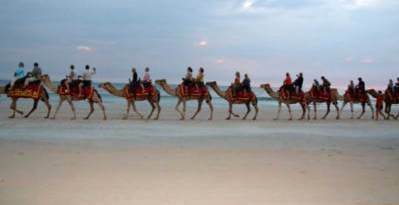 Broome Half-Day Tour with Cable Beach Sunset Camel Ride. One of the most famous images of the Kimberleys Western Australia area is a camel train making its way along Cable Beach at sunset. This tour of Broome gives you an insight into Broome's pearling industry history, a tour through Chinatown and Gantheaume Point, before climbing aboard your camel for a ride along the sand while watching the sun goes down. Definitely one of Broome's highlights! Visit a Japanese Cemetery. 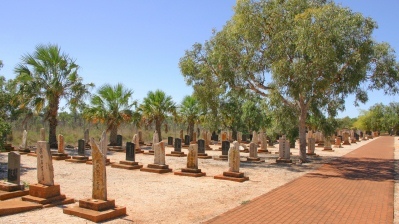 The numbers of Japanese cemeteries in and around the Broome area are testament to the dangers of the pearl diving industry. Many Japanese divers travelled to Australia in the early 1900's to join the pearling luggers but it was hazardous work and thousands died over the years. Today a number of Japanese cemeteries stand as a tribute to those immigrant workers who lost their lives in pursuit of the underwater treasure. Visit a Pearl Farm. A fascinating and educational tour which will give you an insight into modern pearl farming with a compelling presentation about oyster insemination and a boat ride out into the estuary. You can visit by half-day bus tour from Broome, or you can drive yourself and join the two-hour tour at the farm. 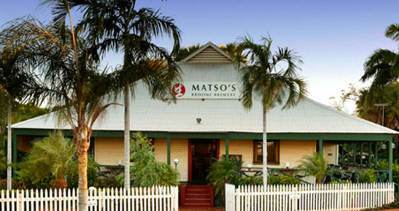 Try the Local Brew at the Matso's Broome Brewery. Touring the Kimberleys Western Australia can be hot work so there's no better way to relax and cool down than with a pint of the locally made beer at Matso's Brewery overlooking Roebuck Bay. These award-winning beers are brewed on site and there's even live music on Sundays in the courtyard from 4pm. Manbana Aquaculture Hatchery & Discovery Centre. 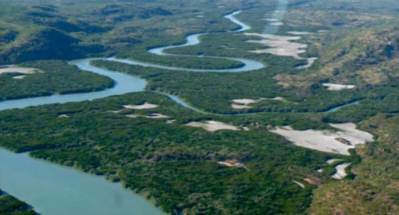 Explore the role the Kimberley waters have played in the lives and legends of the local Aboriginal people. 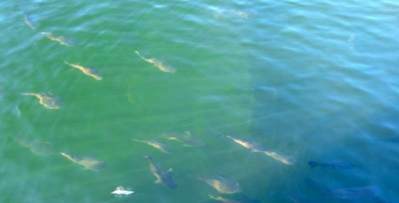 Manbana Aquaculture Hatchery & Discovery Centre is Australia's first indigenous-owned commercial aquaculture hatchery. Learn how they fished and pearled, long before European settlement, get close to a variety of live marine species, and feed the barramundi! Pearl Luggers. This tour is a fascinating insight to Broome's unique heritage at Pearl Luggers, in the heart of 'Chinatown' Broome Western Australia. During your visit you will learn about the perils of the deep and discover what made a pearl divers life so hazardous and what drove so many to put their lives at risk. Was it the riches, the status or just the lure of the pearl? The Malcolm Douglas Wildlife Sanctuary and Crocodile Park. Malcolm was Australia's original crocodile hunter and a passionate conservationist. This park was opened by him in 2005 and is about 15km north of Broome. 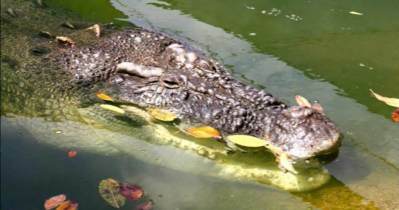 Entering through the jaws of a giant crocodile, the naturally designed park is home to dozens of large crocs at two billabongs with spectacular shows each day at feeding time of 3pm. You'll also see kangaroos, cassowaries, emus, dingoes, jabirus and numerous types of birds. Broome Bird Observatory. For a bird lover or watcher this is an absolute MUST. Situated some 25km from Broome on Roebuck Bay this sanctuary is a vital staging post for hundreds of migratory species, including 49 waders, which is nearly a quarter of the world's total species. An incredible 800,000 birds arrive each year, some travelling 12,000km to get here. 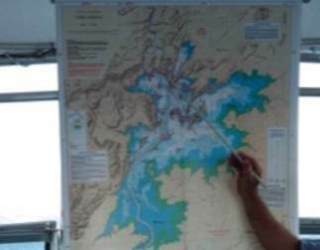 There are excellent two-hour tours, full-day tours of the freshwater lakes, or you can do a five-day live-in, all-inclusive course especially designed for the professional or amateur bird enthusiast. A Visit to the Bungle Bungles. This is probably the area for which the Kimberleys Western Australia is most famous. 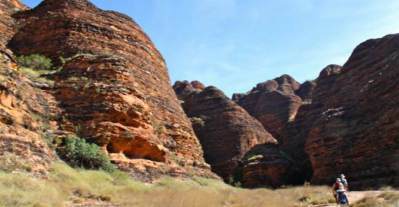 The Bungle Bungle Range is part of the Purnululu National Park and is known for its impressive sandstone domes, unusual and visually striking with their striping in alternating orange and grey bands. This banding of the domes is brought about by differences in the clay content of the sandstone layers: the orange bands are oxidised iron compounds, the grey bands are a bacteria substance that grows on the surface of the sandstone where moisture accumulates. Access to the area is by 4 wheel drive vehicle only, you can book a bus tour or fly over the area in a small plane or by helicopter. Whichever way you decide to see the Bungle Bungles you will be impressed by its ruggedness, sheer size, majesty and beauty! 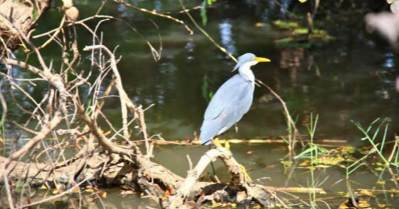 Of course there is so much more to see and do in the Kimberleys Western Australia, including visits to some of the other impressively stunning national parks and waterways.